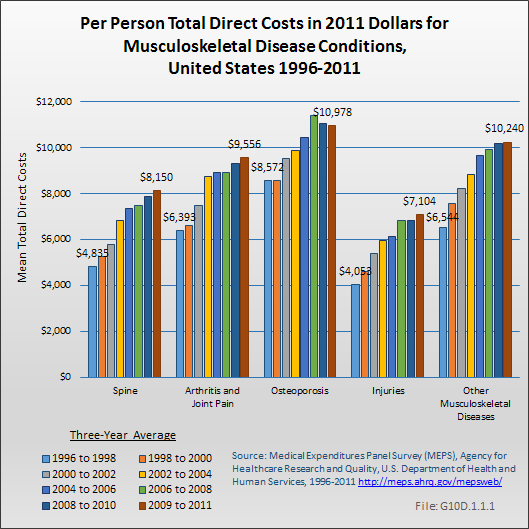 Women account for both a higher proportion of the population with musculoskeletal disease and more than half of total costs. 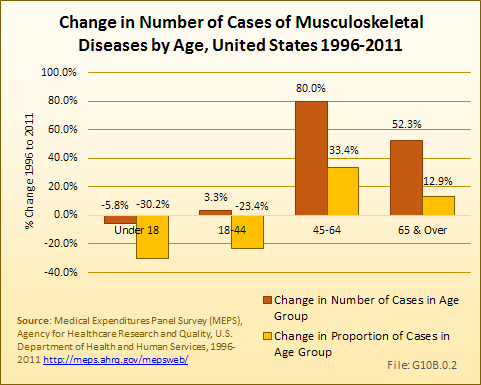 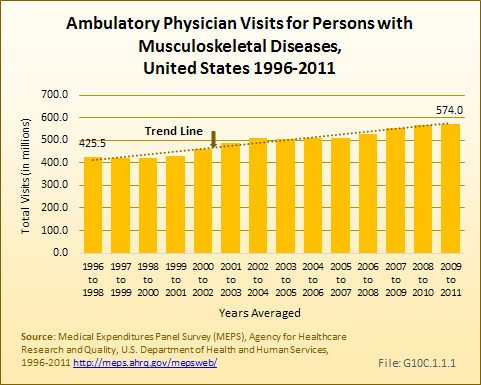 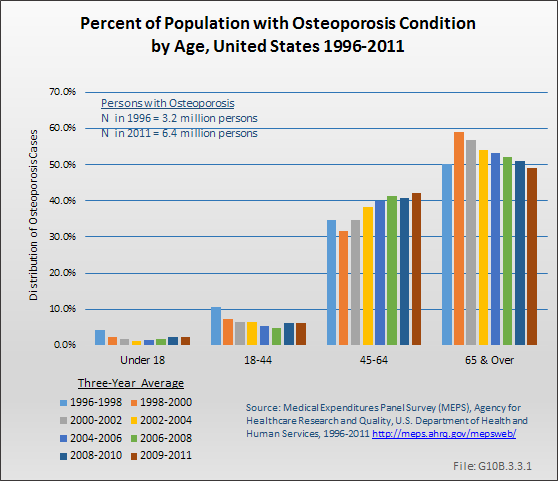 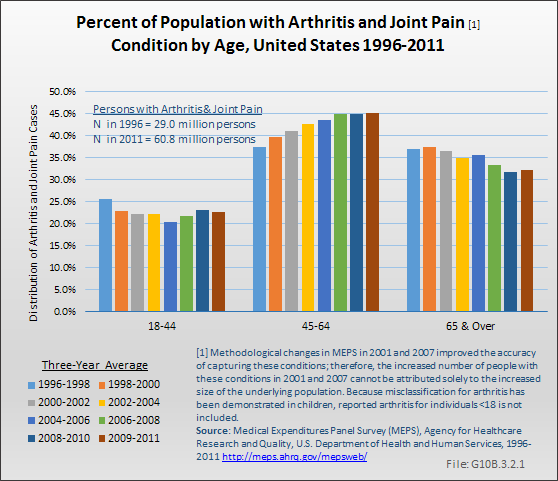 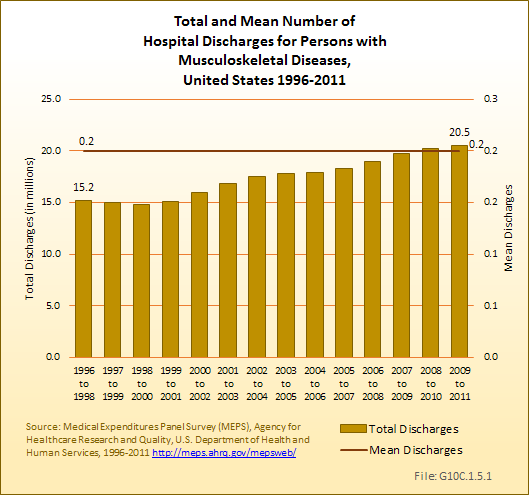 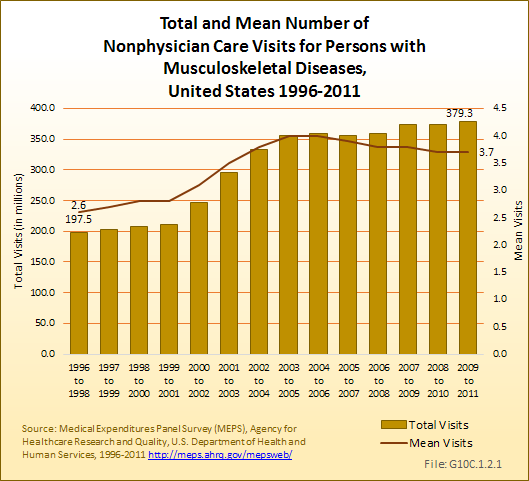 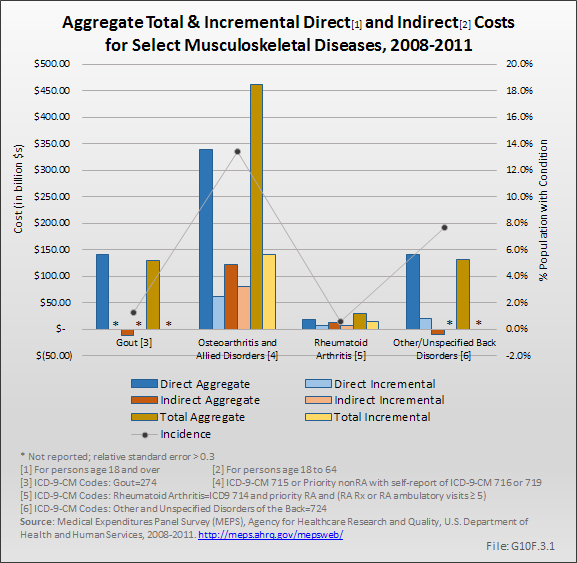 With 36% of women reporting musculoskeletal diseases compared to 30% of men, women accounted for 56% of aggregate costs in 2011. 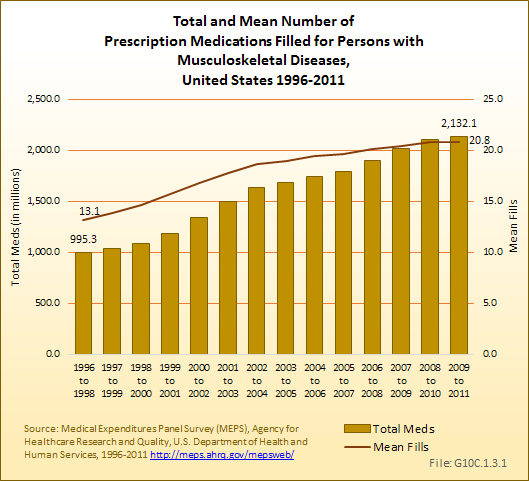 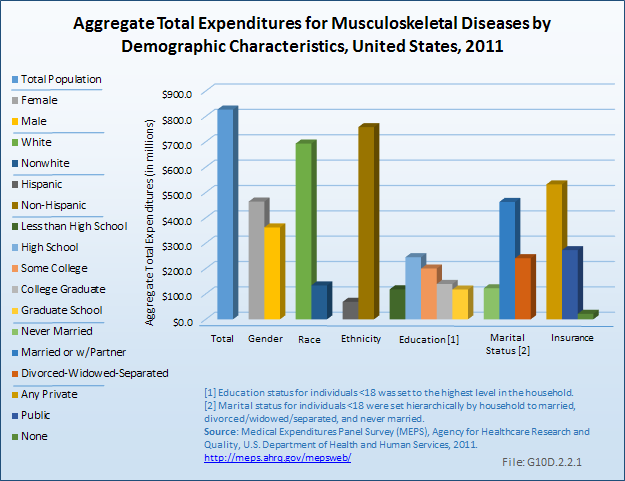 Whites and non-Hispanics account for the majority of cost, with 84% and 92%, respectively. 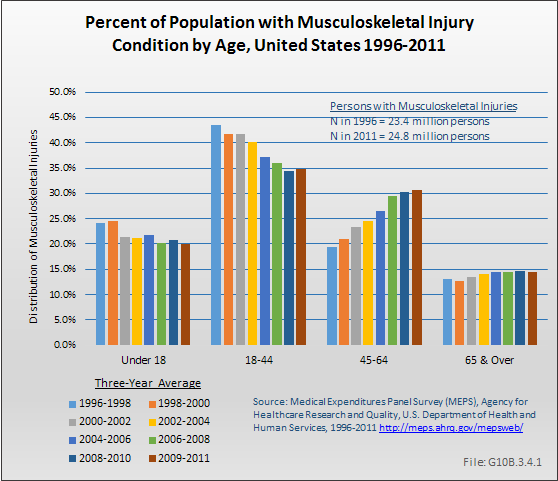 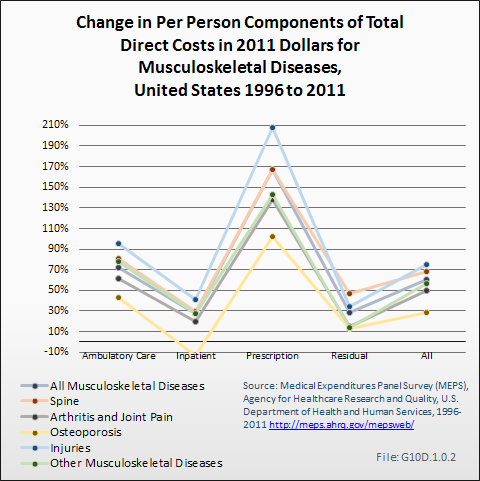 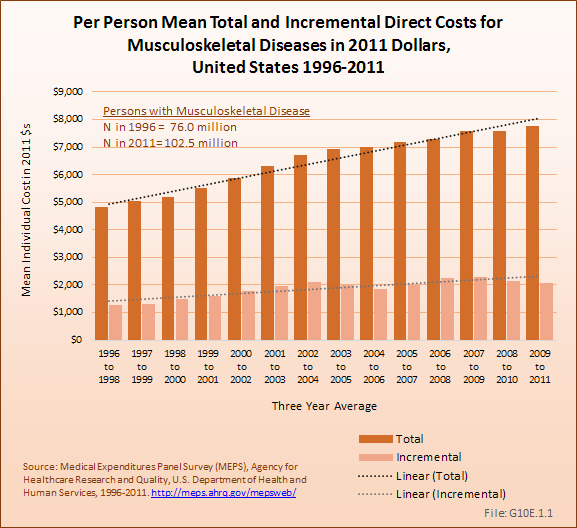 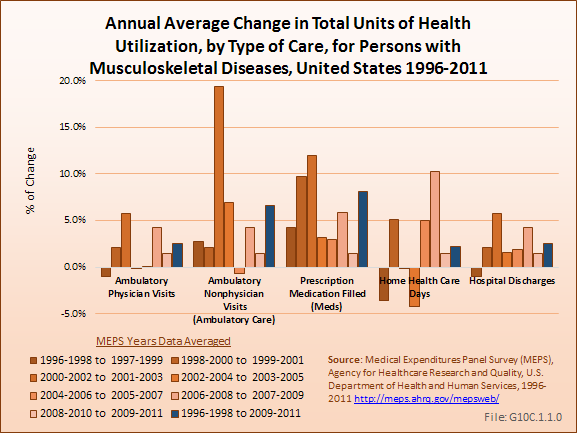 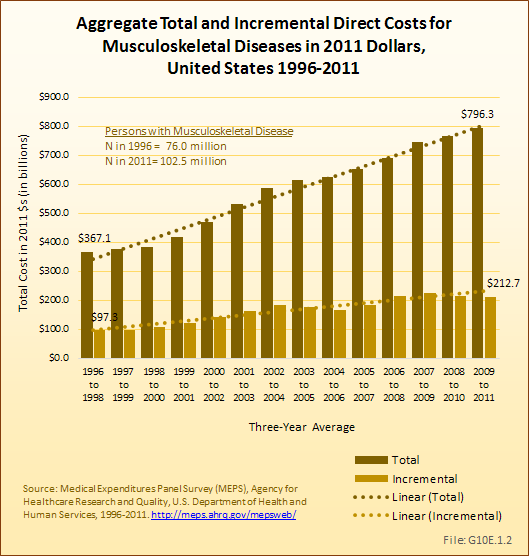 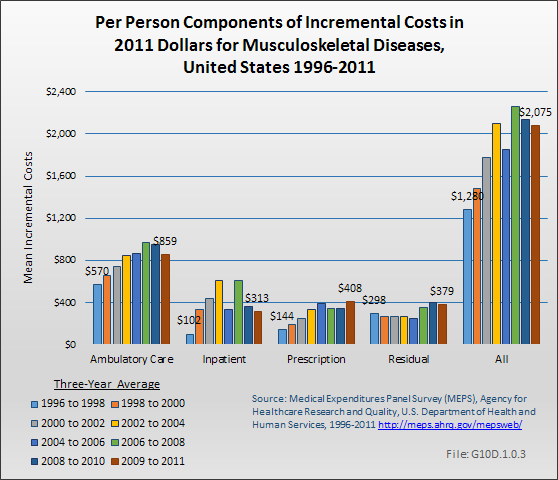 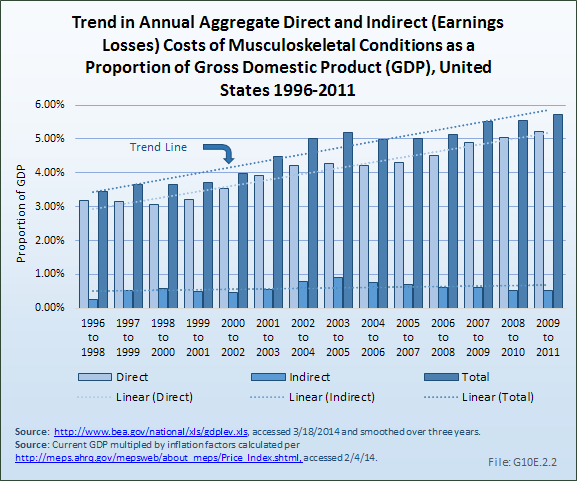 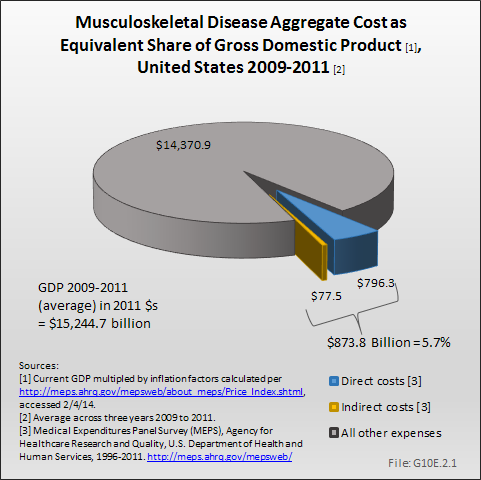 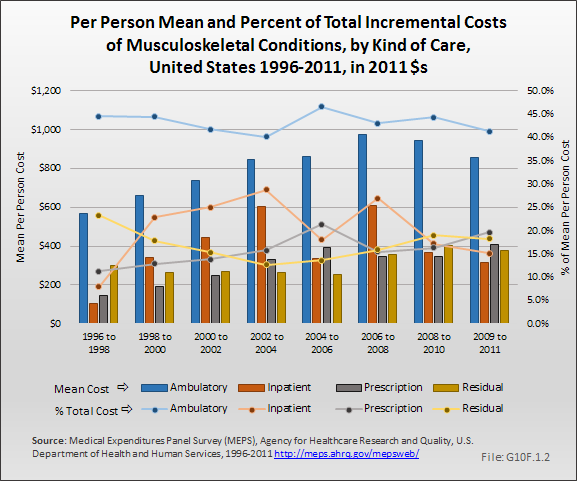 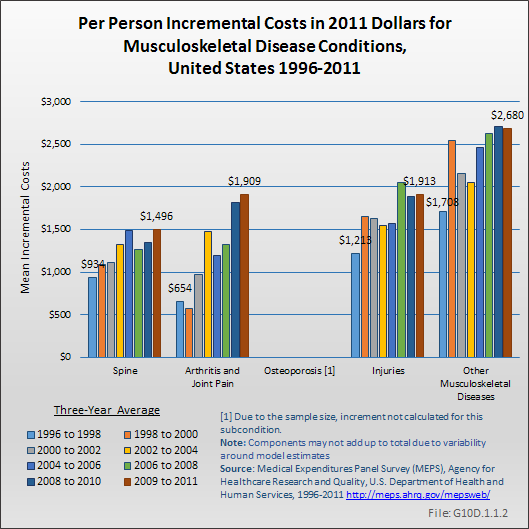 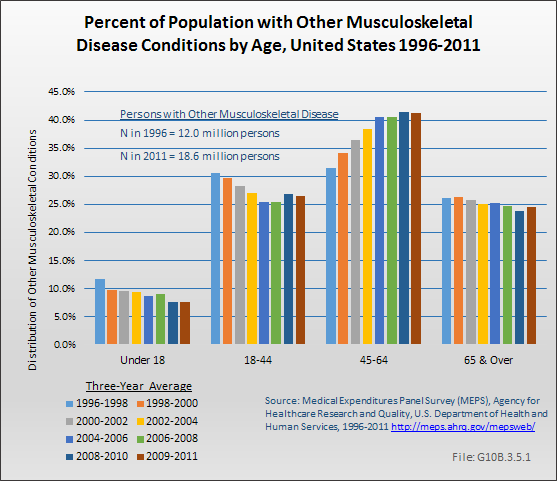 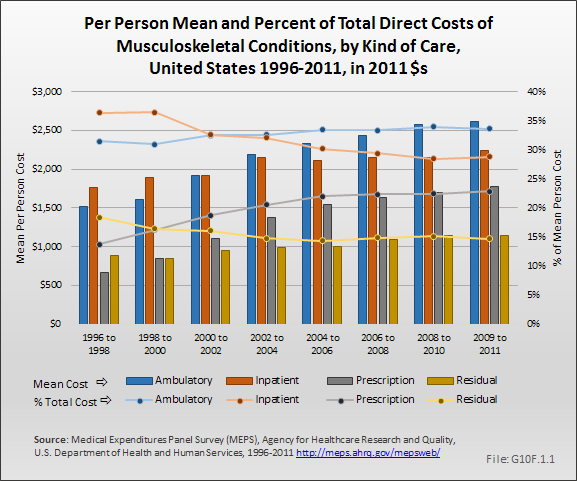 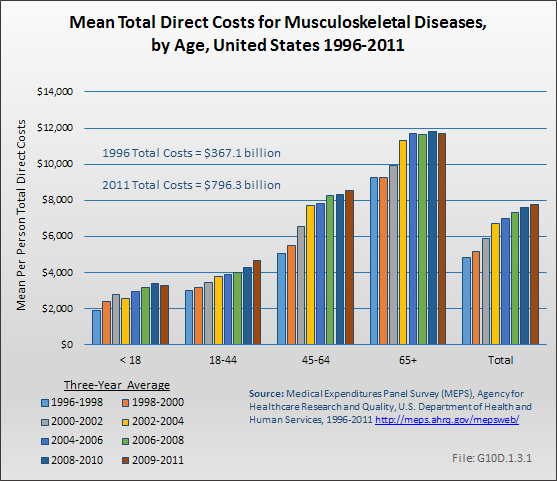 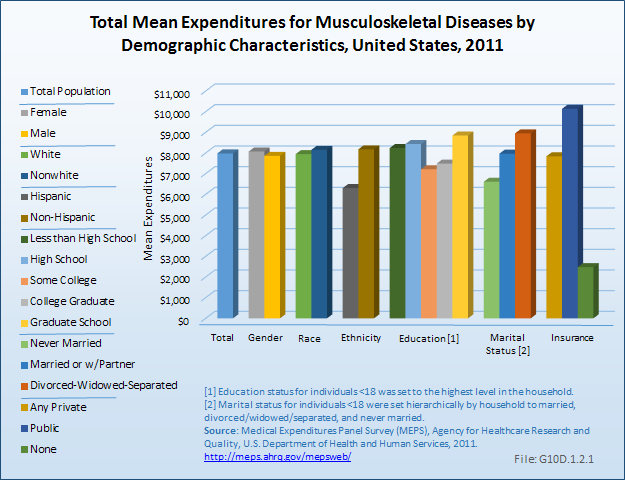 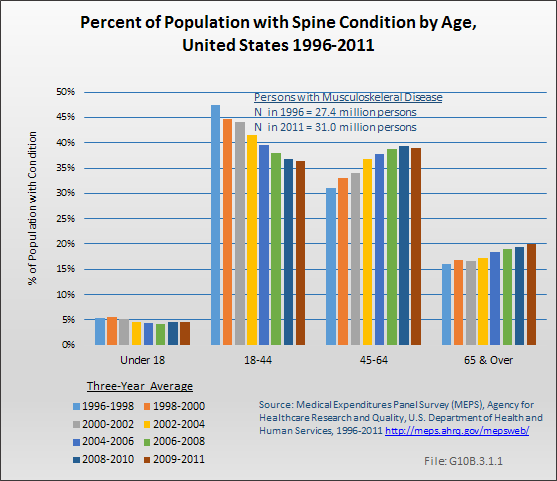 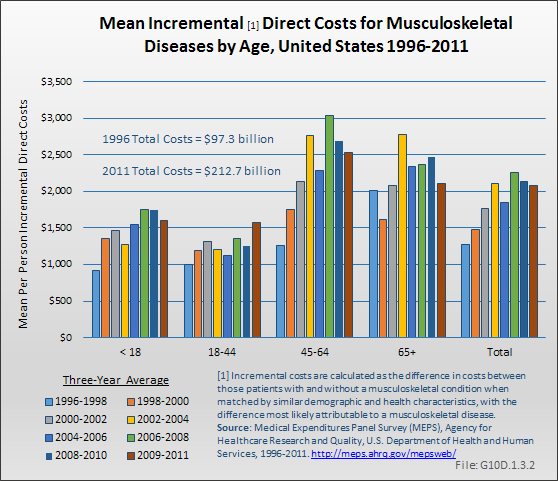 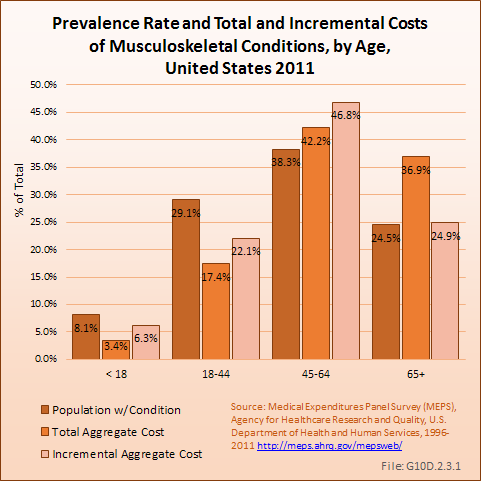 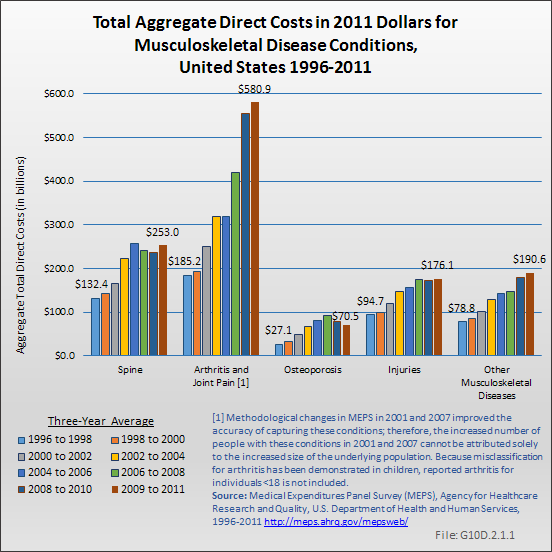 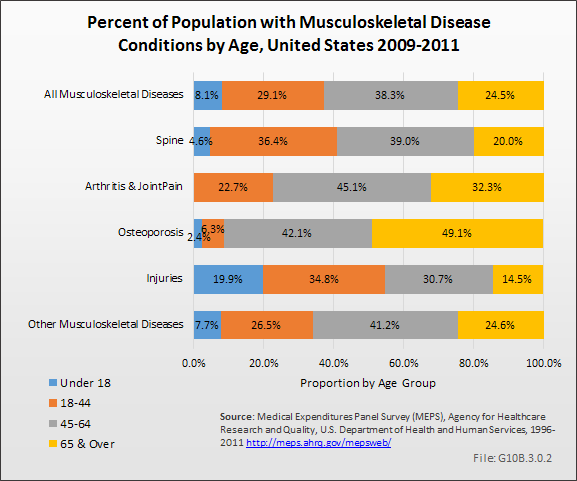 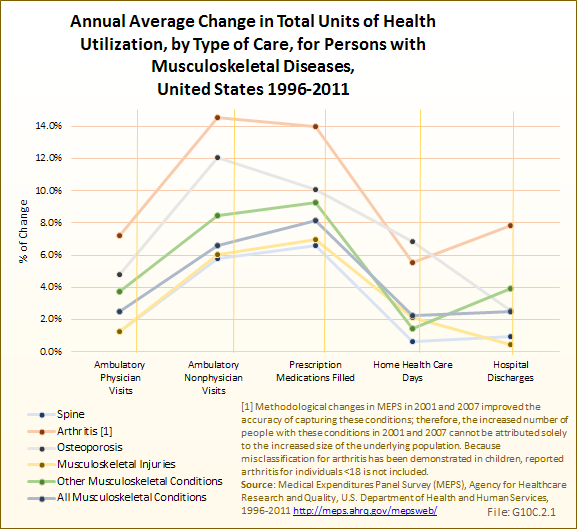 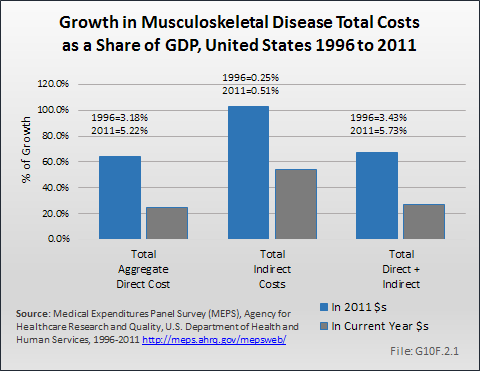 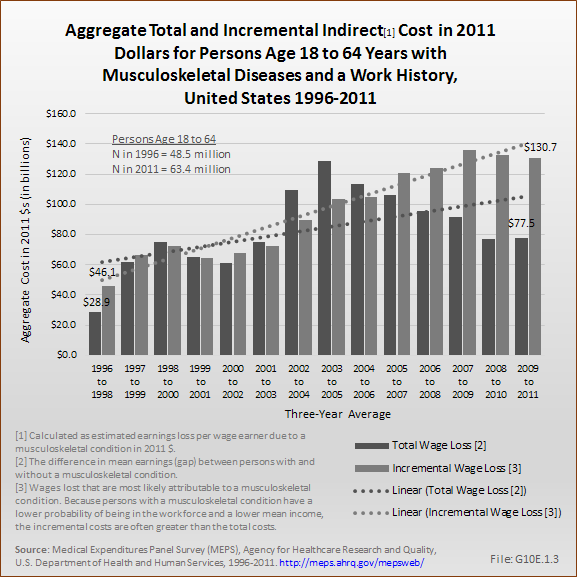 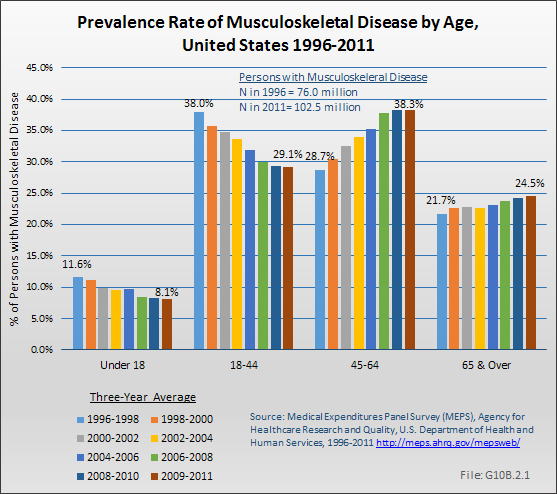 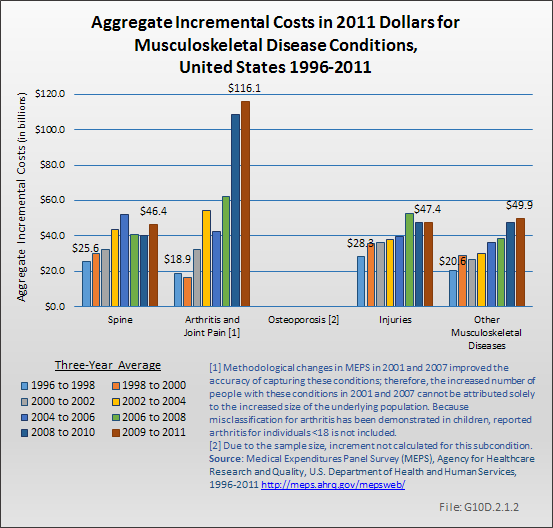 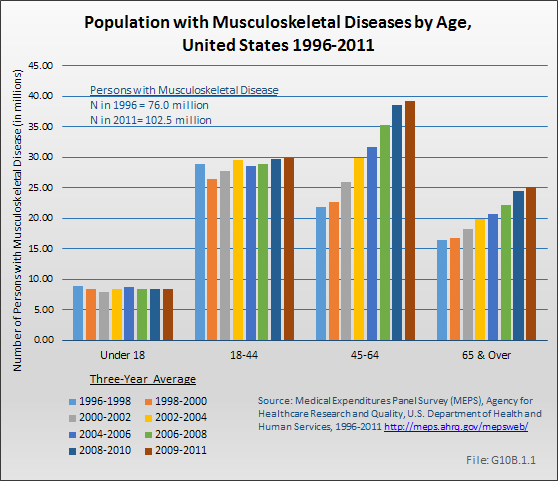 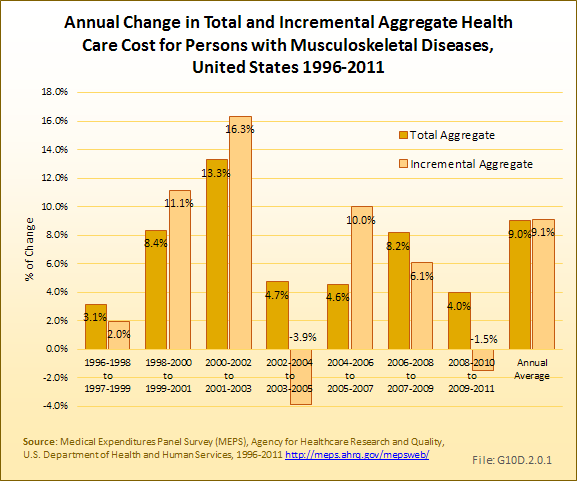 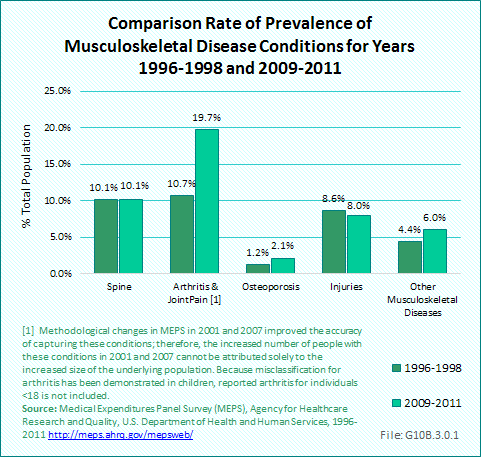 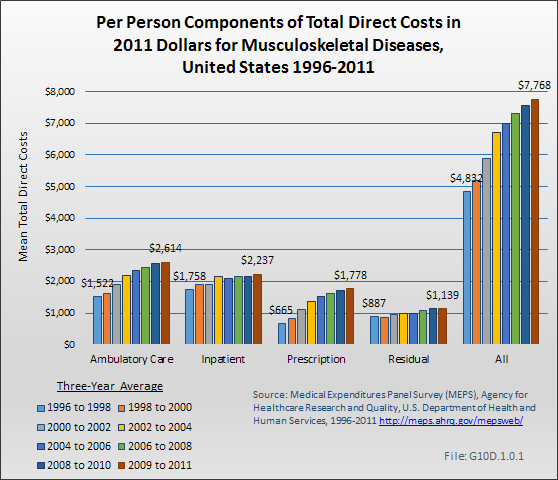 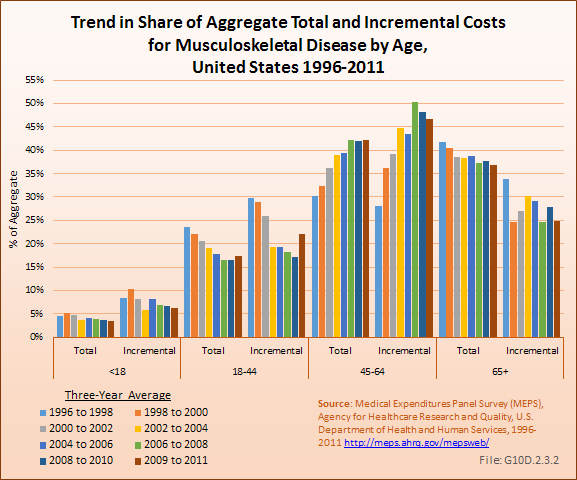 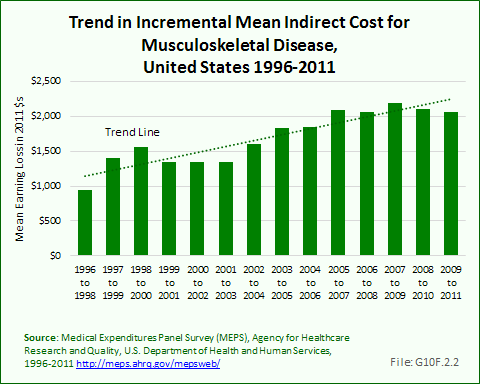 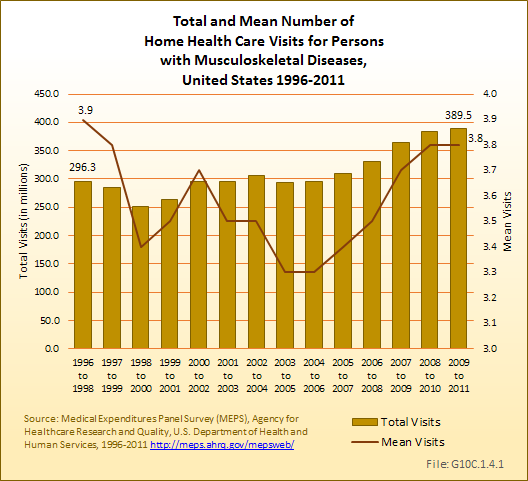 Although a similar share of one-third of all persons in all education levels report musculoskeletal diseases, due to lower numbers with higher education, these groups represent a smaller share of aggregate total cost.